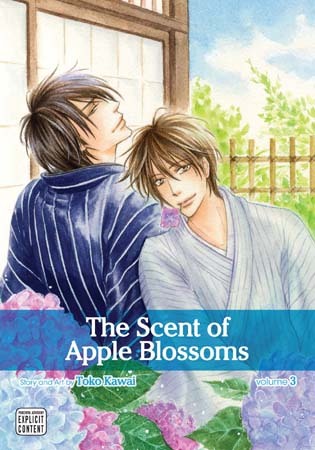 The Scent of Apple Blossoms Vol. 1 - SuBLime Manga: Online Manga. Haruna, a young salesman with an allergy to alcohol, isn’t happy to be handed the account for a sake brewery. 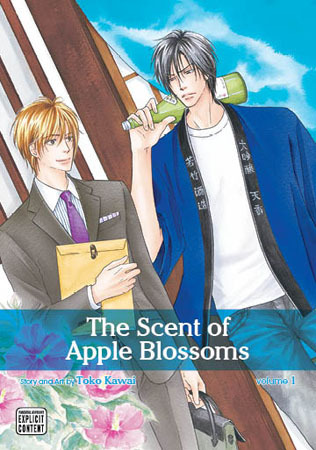 But when he pays a visit to his new client, instead of being greeted by the brewery’s notoriously cantankerous old owner, he meets Nakagawa, the handsome—but icy—man of his dreams. 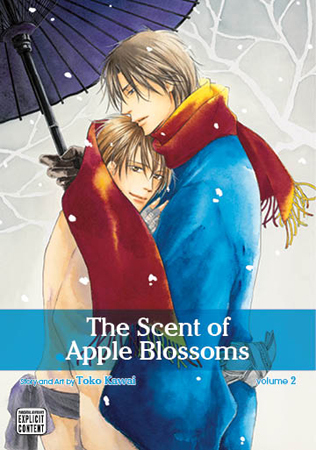 Now Haruna is drunk on love, and he’s desperate to convince Nakagawa that fate has brought them together. But the old brewer wants Haruna off his property by any means necessary. Are Haruna and Nakagawa destined to drink alone, or will their passion prove more intoxicating than the sake? Haruna is spending almost every day at Wakatake—and every night with Nakagawa. But even as he gets closer to Nakagawa’s eccentric sake-brewing family, Nakagawa himself remains a mystery. Is he leading a double life under Haruna’s nose? And will he be able to keep his icy cool when one of Haruna’s many ex-boyfriends shows up in Japan?